The college golf season is seven months old — having been interrupted by roughly a three-month lull in competition between the fall and spring portions of the schedule — and now we really get down to business. The regular season is already complete for some teams — and nearly so for the rest. And so it’s time for the all-important postseason — the conference championships and, if teams qualify, NCAA Regionals and, ideally, the NCAA Championship Finals. Over the next two and a half weeks, all nine NCAA Division I programs in Colorado (five on the men’s side and four on the women’s) will compete in their conference meets. And the same is true for the state’s Division II teams, which will square off in the Rocky Mountain Athletic Conference tournaments. In addition, of course, there are the Coloradans competing at out-of-state schools. That includes, most notably, Westminster’s Jennifer Kupcho, who will defend her women’s NCAA Division I individual title next month in Arkansas. Kupcho, winner of last week’s inaugural Augusta National Women’s Amateur, remains the No. 1-ranked women’s amateur in the world and has won her last two college tournaments. 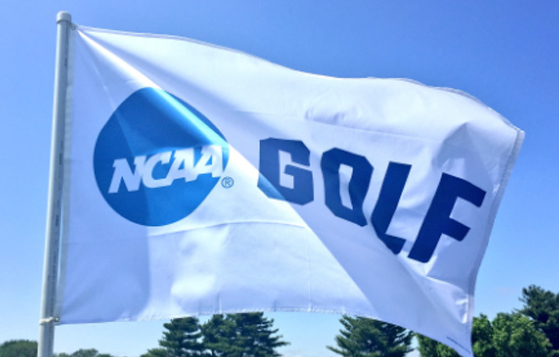 After the conference tournaments conclude, NCAA regional tournament selections will be unveiled on the following dates: April 24 (women’s Division I), April 26 (men’s Division II), April 29 (women’s Division II and May 1 (men’s Division I). Colorado Team Participating: University of Colorado. When: Monday through Wednesday (April 15-17). Where: Palos Verdes Estates, Calif.
Last Year at Conference Tourney: CU finished sixth out of 11 teams. The Buffs’ top returning performer is Kirsty Hodgkins, who placed 11th individually. National Team Ranking: CU is 57th (Golfweek), 58th (Golfstat). Notable: After losing their top player, junior Robyn Choi, at midseason as she earned her LPGA Tour card and turned pro, the Buffs have understandably tailed off in the second semester, with just one top-10 team finish in five events to date. Last Year at Conference Tourney: CSU placed third out of nine teams. Katrina Prendergast and Ellen Secor, who both are back, finished third and fourth individually, respectively. National Team Ranking: CSU is 89th (Golfweek), 90th (Golfstat). Notable: After claiming a team victory in early October, CSU hasn’t cracked the top five since. If the national rankings are any indications, the Rams need a very good conference showing to earn an NCAA Regional team berth. Colorado Team Participating: Northern Colorado. Last Year at Conference Tourney: UNC finished ninth out of 12 teams. Then-freshman Nicole Polivchak led the Bears individually by placing 12th. National Team Ranking: UNC is 137th (Golfstat), 141st (Golfweek). Notable: UNC is coming off the second tournament of the season in which it’s finished in the top third of a large-event field as it placed sixth out of 20 teams at the Wyoming Cowgirl Classic. Colorado Team Participating: University of Denver. Last Year at Conference Tourney: DU saw its run of consecutive conference championships end at 14 as the Pioneers placed second out of eight teams, behind North Dakota State. National Team Ranking: DU is 72nd nationally (Golfstat), 74th (Golfweek). Notable: Junior Mary Weinstein, a two-time CGA Women’s Player of the Year, has been DU’s clear No. 1 golfer this season. She came into the week with a 72.52 stroke average. DU, on the bubble as far as earning an NCAA Regional berth, will conclude its regular-season schedule on Saturday at the University of Georgia’s Liz Murphey Classic. Colorado Teams Participating: Colorado School of Mines, Regis, Colorado State-Pueblo, Colorado-Colorado Springs, Colorado Christian, Fort Lewis, Colorado Mesa. Last Year at Conference Tourney: Colorado School of Mines edged Regis by one stroke for the title. George Markham of Mines finished second individually, behind since-graduated Colin Prater of UCCS. National Team Ranking: Colorado Mines is 37th nationally in Division II, CSU-Pueblo 46th, Mesa 54th, UCCS 56th, Colorado Christian 80th, Regis 111th and Fort Lewis 150th (Golfstat). Notable: Colorado School of Mines has won its last three tournaments, its best streak since the 2011-12 season. Markham leads the way for Mines, having posted four top-7 finishes this season. Colorado Teams Participating: Colorado-Colorado Springs, CSU-Pueblo, Colorado Mesa, Regis, Metro State, Fort Lewis, Colorado Christian, Adam State. Last Year at Conference Tourney: UCCS dominated, winning the title by 25 strokes over CSU-Pueblo. National Team Ranking: CSU-Pueblo is ranked 38th nationally, UCCS 55th, Colorado Mesa 70th, Regis 80th, Colorado Christian 84th, Metro State 116th, Fort Lewis 117th, Adams State 160th (Golfstat). Notable: CSU-Pueblo is 44-1-1 against RMAC competition this season. Last Year at Conference Tourney: CU, looking for its first conference title since 1968, finished second out of 12 teams. marking its top conference finish since a runner-up performance at the Big 12 tournament in 2009. Ross Macdonald (career-best second) and since-graduate Yannik Paul were tied for the runner-spot individually. National Team Ranking: CU is 76th (Golfstat), 85th (Golfweek). Notable: The Buffs have one regular-season tournament before the conference meet — this weekend’s ASU Thunderbird Intercollegiate in Phoenix. CU had two team victories and didn’t finish worse than eighth in the fall. But the spring semester has been disappointing so far. The Buffs haven’t placed better than seventh as a team in five tournaments so far in 2019, with three showings of 14th place or lower. The Pac-12 tournament has an unusual format in a couple of respects — it lasts four rounds (most college events last three) and teams are comprised of six players, with the best five scores counting each round. Last Year at Conference Tourney: UNC swept team and individual titles at the conference meet for the second time in five years, with then-senior Andrew Romano earning the top spot individually. National Team Ranking: UNC is 114th (Golfstat), 116th (Golfweek). Notable: Senior Joshua Matz owns five top-7 individual finishes this season for UNC. The Bears will have one tournament before the conference meet — April 19-20 at the BYU Cougar Classic. Colorado Teams Participating: Colorado State and the Air Force Academy. Last Year at Conference Tourney: CSU finished second out of 11 teams in the MWC for the second straight year, this time behind UNLV. Coloradans AJ Ott and Jake Staiano and since-graduated teammate Max Oelfke tied for fifth place individually. Air Force finished 10th with Anson Kuznik leading the way at 37th individually. National Team Ranking: CSU is 46th (Golfstat) and 48th (Golfweek), and Air Force is 210th (Golfweek) and 218th (Golfstat). Notable: CSU has scored top-five team finishes five times so far this season, with two victories. Freshmen hold down the top two spots on the team in stroke average: Oscar Teiffel (71.96) and Davis Bryant (72.72). After not having a tournament for nearly a month, CSU will play in three in the course of two weeks, including the Western Intercollegiate, which will be televised by Golf Channel Monday through Wedenesday in Santa Cruz, Calif. … Freshman Luke Trujillo of Colorado Springs owns Air Force’s top stroke average for a golfer who has played the majority of tournaments this season (74.91). Air Force will wrap up the regular season on April 20 at the BYU Cougar Classic, where CSU, DU and UNC are also competing. Last Year at Conference Tourney: DU placed second out of eight teams last year. The top finish from a current DU player at that meet was a seventh from Jackson Solem. National Team Ranking: DU is 126th nationally (Golfstat), 137th (Golfweek). Notable: Like CSU, the Pioneers have a busy run in late April, playing three tournaments. DU has struggled for much of the season, but notched a runner-up showing last month at the Bandon Dunes Championship. The Pioneers’ top two stroke averages this season are owned by freshmen: Coloradan Cal McCoy (73.56) and redshirt frosh Esteban Missura (73.76). Get local golf news delivered to your inbox every week! The CGA’s mission is to represent, promote and serve the best interests of golf in Colorado. This includes services such as handicap management, course rating, events, clinics, tournaments and membership programs. The CGA is licensed by the United States Golf Association as the “Allied Golf Association” of record for the state of Colorado. More than 60,000 members enjoy all that the CGA has to offer.